Last date to submit applications is 28th April 2017, so hurry up and rush to the nominated bank branches to submit your application forms alongwith processing fee in order to be included in the computerized ballot. You have to submit your properly filled application forms alongwith a copy of valid CNIC/NICOP, payment deposit slip and the payorder/demand draft of processing fee in favor of DCK HOUSING APPLICATION. Please Note that processing fee is non-refundable. Even if you succeed in the ballot and cannot pay downpayment within the given time, your booking will be cancelled and processing fee will not be refunded. Thanks to DHA for making its application forms Free of Cost and downloadable from its website (www.dhakarachi.org). These application forms cannot be sold by any individual or organization. Fee voucher is also enclosed in the application form file, so you simply need to get prints and fill out necessary details for submission. Each application form can be used for one residential plot only. 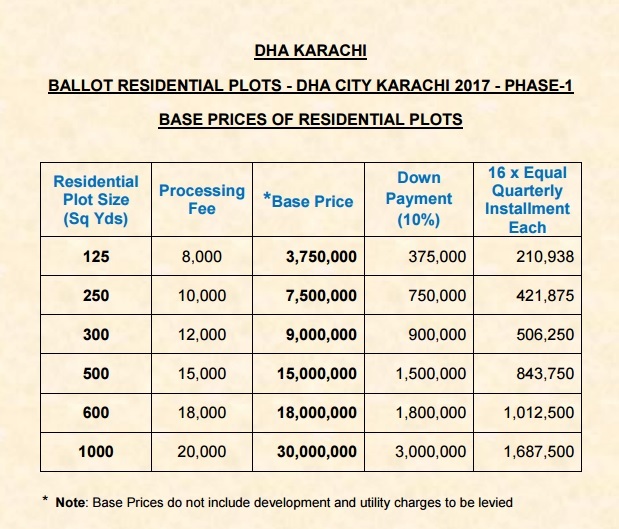 DHA City Karachi offers 125 SQY, 250 SQY, 300 SQY, 500 SQY, 600 SQY and 1000 SQY residential plots in J category (civilian inland and overseas). Plot prices are considerably high in this booking, but payment plan is quite flexible i.e. 4 years. Plot prices are given keeping in view the current market value of different sizes of plots across different sectors of DHA City. Since this is new booking with low initial investment, profit will definitely add up after the ballot results. Balloting date will be announced after the completion of registration process i.e. after 28th April 2017, and ballot results will be available online on DCK website which can be checked using your registration number that will be sent to you by DHA via email and sms. Make sure to enter your email address and mobile number correctly in order to receive your registration number and other important information from DHA. There is no information about the expected location of new plots, however we can do some guesswork here. 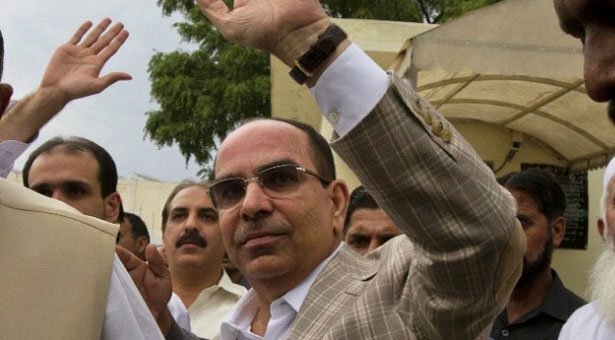 As we know that Red Zones of DHA City are the sectors which are currently under development and which are expected to be handed over by 2018, however Yellow Zones of DHA City are future developments which will take around 4 to 5 years to be developed. So, expected locations of these new plots will be most probably the yellow zone sectors. If you need more information on this new booking, booking procedure or anything relevant to DHA City Karachi, do send us an email with your query for detailed reply.